I chose to take the staff route at the beginning. I’m usually a magic user in most RPG’s, so I stuck with it this time too. I believe I played it this way my last time through too. Oh, I am also using a guide…I know, I know. Some people don’t like guides, but they help me blast through the game much quicker. I’m not using them to spoil any of the story (even though I’ve played this game before)…it’s just there to help speed things up, that’s all. Once I get to the games I haven’t played yet (like the DS and PSP games), I may change my mind at that point. We’ll see. Well, first of all, Mass Effect 3 finally shipped!! It was a long haul there near the end, but so worth it. I know most everyone on the team was so proud of the game we made. For myself personally, I worked a ton on the multiplayer lobby flow, including the store and card reveal UI’s. I also had my hand in some of the single player screens, including the 2 Galaxy at War screens, plus Character Creation, Squad Selection, and a few others. We supported the game as well over the course of last year, and while I was off on another project (more on that below), I came back for a couple months to give a hand with the last single player DLC, Citadel. After ME3 shipped, I moved over to help out the Dragon Age team with their new project, Dragon Age: Inquisition. I spent most of 2012 (minus a couple months in November helping out with Citadel) working on various features. I’ve since moved on, but DA:I had a HUGE presentation at PAX Prime this year…here’s a link to some of the demo that was shown. The DA team really outdone themselves with that demo…I’m so proud of them!! Been keeping up on a few games in my downtime. Bioshock Infinite, The Last of Us, and XCOM: Enemy Unknown are some of them, and just tonight I wrapped up Ni No Kuni: Wrath of the White Witch on the PS3. Talk about an incredible JRPG. Great art, great story, awesome battle system….all around great game. I won’t go into too many details (as this post is already getting a bit long), but here’s a link to the Wikipedia entry. If you are a fan of JRPG’s, this is a must. 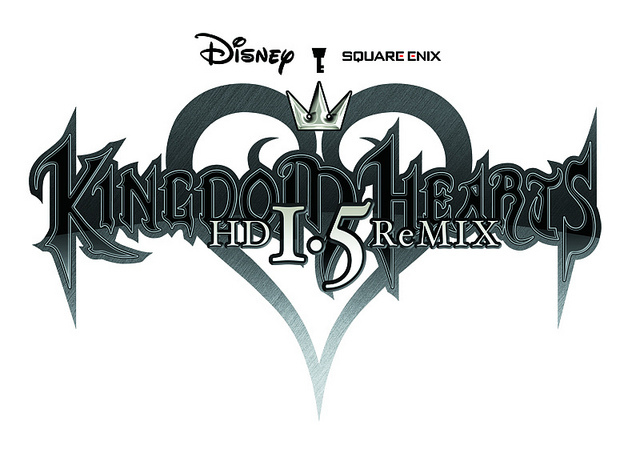 And, to wrap up, just this week Square Enix released an updated version of the first Kingdom Hearts game called Kingdom Hearts 1.5 HD Remix. It’s not only an HD remake of the KH1, but also the Game Boy Advance/PS2 game Chain of Memories, plus all the cutscenes from the DS game 358/2 Days. I played KH1, 2 and CoM back in the day, but never made it around to the newer ones (the DS, PSP and 3DS games), so I’ve decided I’m going to start playing all of them. I’ll be a long haul, but I think it’ll be fun (not to mention I’m very nostalgic for all things Disney…) My hope is I’ll keep posting as I make my way through them. Hopefully I’ll be done before they finish Kingdom Hearts 3…but, you know me. That’s probably all for now.